Note: Different production batches, color and style may be different from the picture, and the size of the manual measurement will be little deviation, in kind prevail. 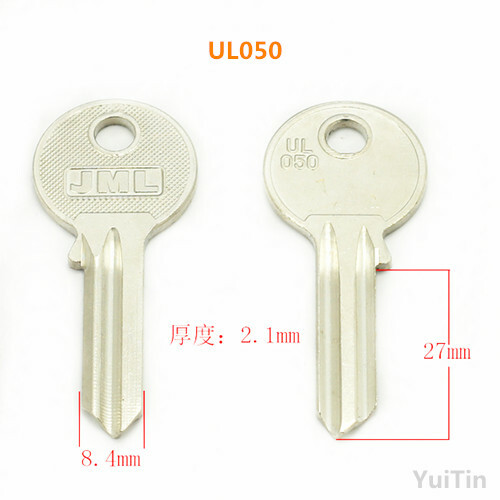 The head of your key may vary from what is shown. 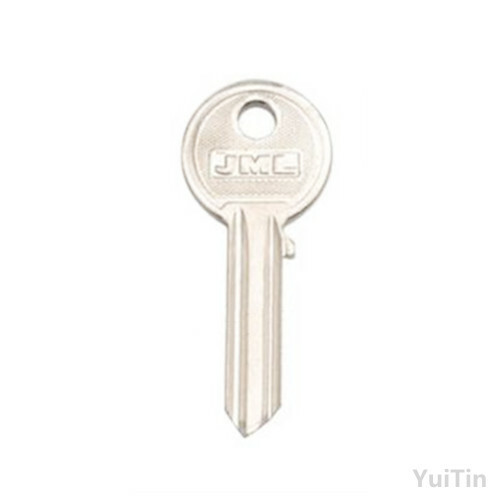 This key blank is made by JML. Different groove pattern on both sides. Actual size line drawings and groove pattern profiles are available in our manufactures directory. To view these pdf files, please read and follow the instructions below. Learn how to Check the Profile. Using the link above, you will find this key in the International Cylinder section under Universal.